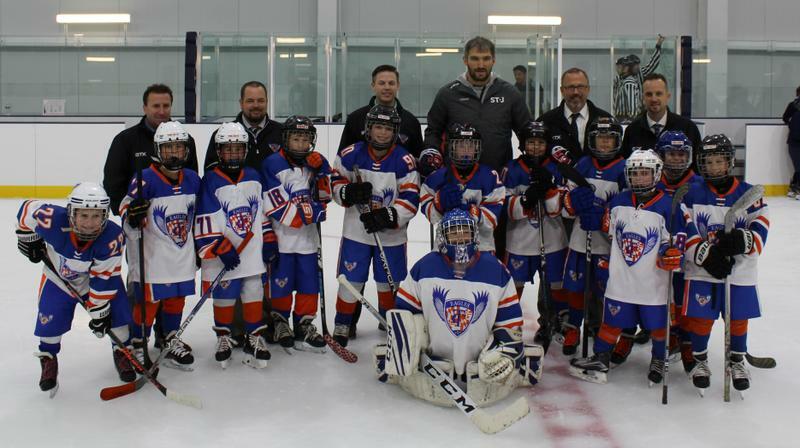 Tri-City Eagles | 10U Blue Skates with Ovechkin! In their first game at the new St.James rink in Springfield, Virginia, the 10U Blue team warmed up with none other than Alexander Ovechkin! Check out the pictures and congrats to the 10U Blue team on the 4-3 win!